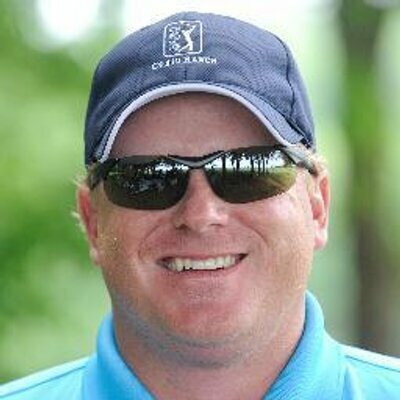 CJ:	Hey CJ Goecks from shortgamesecrets.com. I want to talk to you about the left wrist. What happens with putting? This is crucial. The worst mistake you can make as a golfer is having this left wrist breakdown. We do not want that with putting. We do not want that with chipping, pitching or full swing or drivers. That has no part of our game. Let's start fixing that right now. What we're going to do is, if you have that tendency just hit a put and if you look back at this. This putter's pointed over here towards the right half of your body, you know you're breaking this wrist down. Another way to kind of do that is just bring this up and watch this gap right here. Is that gap staying in there? If I'm going back and through and that gap is increasing or decreasing on this side, I'm breaking my left wrist down. How do we fix it? Number one, John Daly he likes to just use left hand only. As you go, you just want to feel like that left wrist and or putter will finish right over the target. You want to keep that going. People that have a tendency to stop will do this. You want to let that left wrist finish all the way there. After I've done that for 5 minutes or so, put my right hand on there. Right hand feels like it's a grip pressure of zero. Notice I'm still cross handed at this point. Cross handed means left hand low and I'm going to try to feel like that left wrist finishes at the target. That's a great way to feel what the left wrist does. Another little drill or secret is just to put the putter right here or put the ball right there, 6 inches from the hole. You might say, "Well I don't ever put those CJ, those are all good." That may be the case but this is a great technique drill for you to practice. Notice what I'm going to do here. I'm going to take my set up, no back swing, push the ball to the hole. Notice I didn't break my wrist down. I felt my left arm, I felt my shoulders all move through the stroke. The left wrist breaking down is a cancer that we can not have in our golf game at all. If you are doing that at all, have your friend video tape you, get a close up of your wrist. If that is happening, come here immediately and grab these three drills. It's really left hand only, learn how your shoulder or your left wrist goes to the target. We then went to cross handed where your right hand is barely on there and you're just going to keep that same feeling. Then, finally the push ball drill from 6 inches. Again, I know a lot of you are saying I will never do this drill, but I promise you this is a very, very effective drill. It teaches the proper left hand motion through the putting stroke. Use this secret and you'll make a lot more putts.